The London Cabaret Club are celebrating Christmas with a dazzling new 1920s full-scale festive extravaganza. The show will take guests into a Gatsby inspired evening set around distinctly British themes, cabaret’s acclaimed shows look to celebrate the rich heritage of British culture, mixing the nation’s iconic past with its vibrant present. The award-winning cabaret concept was founded by Evelina Girling and Doni Fierro and is well known for being a legendary late-night London haven for West End performers, sophisticated diners, thrill-seekers, night-owls, dancers, hedonists and art-lovers. 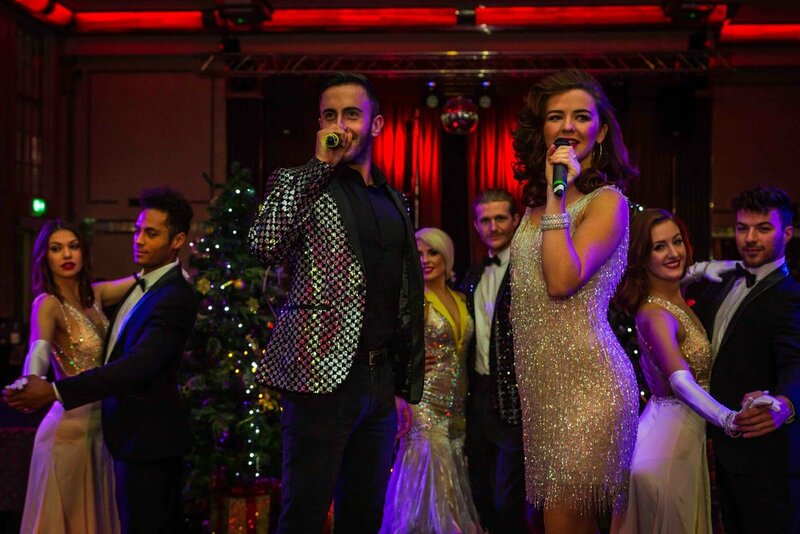 It combines sophisticated dining experiences with an innovative live cabaret show at The Bloomsbury Ballroom. An evening of majestic live performances from expert illusionists, distinguished singers, cunning magicians and skilful acrobats. In-house costume designs, astounding choreography, talented live bands and a one-off dining experience. A celebratory Christmas menu and a range of drink selections set to fuel an evening of celebration.